Interventional oncology (IO) provides curative and palliative treatment of cancer and cancer-related problems utilizing targeted, minimally invasive therapies with advanced image-guided technology. The increased prevalence of several types of cancer, a rapidly aging population, and the desire for patient-friendly and personalized cancer therapies are increasing the demand for minimally invasive oncologic interventions. Interventional oncology is becoming the 4th pillar in the multidisciplinary care of cancer, in conjunction with medical oncology, surgical oncology, and radiation oncology. Interventional radiologists who perform interventional oncologic procedures participate in a multidisciplinary team approach to cancer which includes prevention, early detection, state of the art treatment options, patient support, clinical research, and long-term patient follow-up. Cancer therapies are performed at Miami Cardiac & Vascular Institute in conjunction with the Miami Cancer Institute. We are the sole providers of interventional oncologic interventions at the Miami Cancer Institute. 1. Percutaneous Tumor Ablation: Radiofrequency ablation, microwave ablation, and cryoablation are modalities used to burn or freeze tumors in the lung, liver, kidney, bone, and other organs. Results from clinical studies have shown that ablation rivals surgery for several types of tumors. 2. Chemoembolization: Minimally invasive procedure to treat deliver chemotherapy and occlusive agents directly into arteries feeding a tumor. Chemoembolization is typically performed for liver cancer and metastatic liver disease and is used to kill tumors and improve survival. 3. Radioembolization (also known as Selective Internal Radiation or SIRT) Minimally invasive therapy utilized to intra- arterially deliver radioactive yttrium-90 particles to treat primary and metastatic liver cancer. This therapy is often effective even when after chemotherapy has failed and has minimal side effects. 4. Interventional Pain Management: Procedures utilized to reduce or relieve pain and improve a cancer patient's quality of life include epidural injections, celiac plexus neurolysis, nerve blocks, ablation, and vertebroplasty. Additional interventions include image-guided biopsy, port placement for systemic chemotherapy administration, procedures to control malignant ascites and pleural effusions, biliary drainage and stenting for patients with malignant biliary obstruction and jaundice, and placement of gastrostomy and gastrojejenostomy feeding tubes. Interventional oncologic treatments have been proven to kill tumors, slow disease progression, increase survival, and in some patients, cure patients of their cancer. 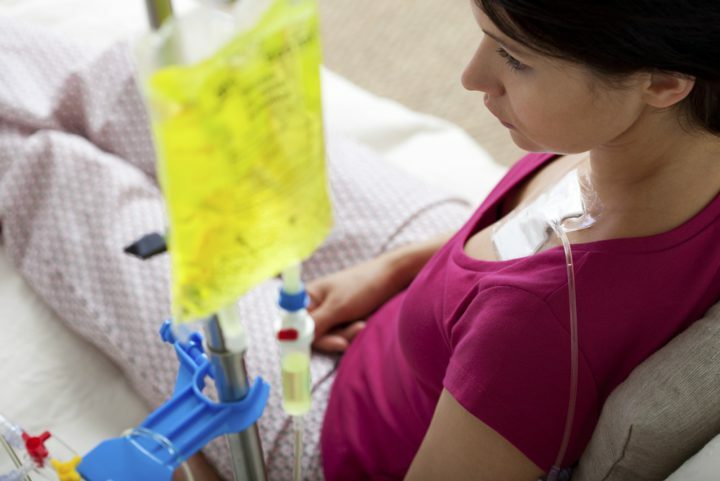 Many of these treatments can be performed in conjunction with systemic chemotherapy. They may also be used in patients who are not responding to chemotherapy or who are unable to get chemotherapy due to significant side effects. These minimally invasive therapies can also be utilized to shrink tumors to allow for curative surgery which otherwise would not be possible. The advent of multiple innovative technologies as well as new clinical research and data is transforming oncologic diagnosis and treatment paradigms, allowing for less invasive oncologic treatment options with decreased duration of hospitalization while maximizing patient safety and efficacy. Our ultimate goal is to provide cancer patients with the most advanced and compassionate care that emphasizes maintaining quality of life.